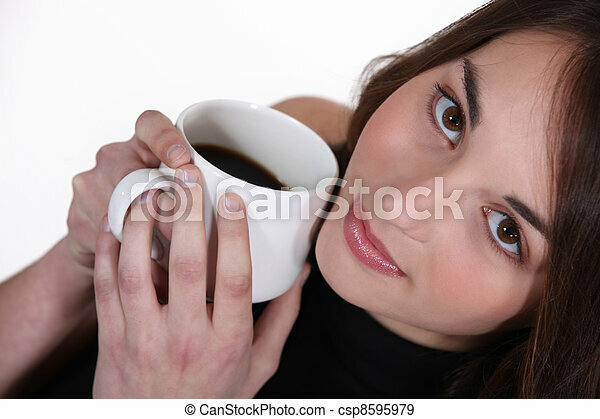 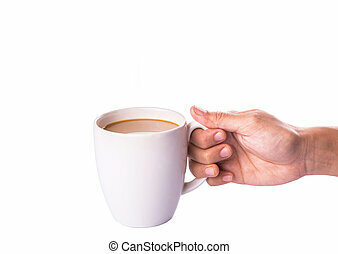 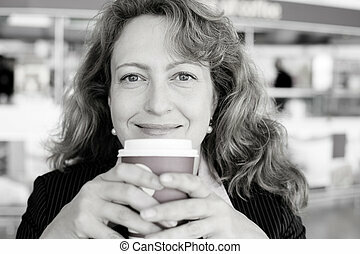 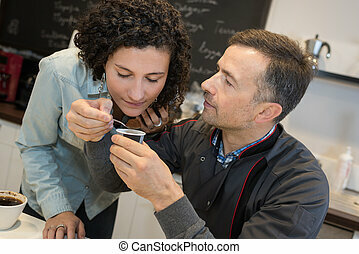 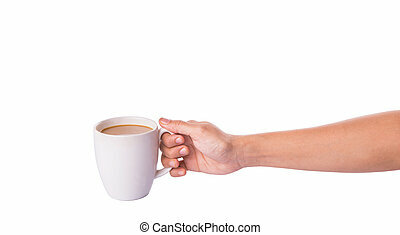 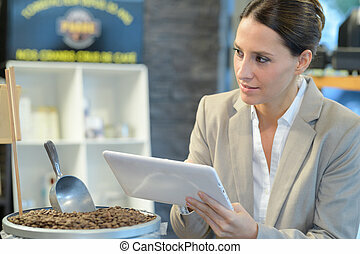 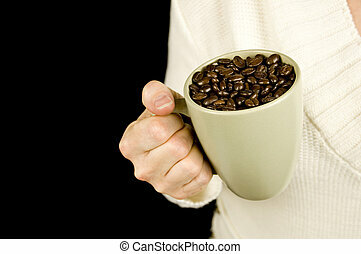 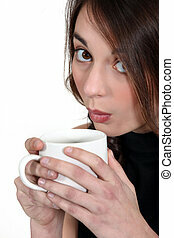 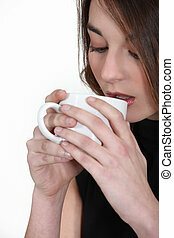 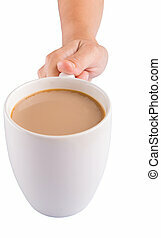 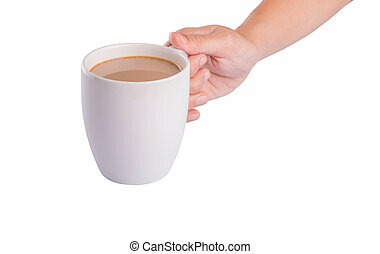 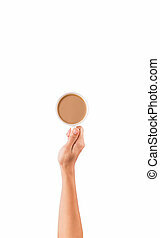 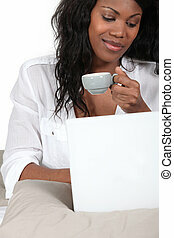 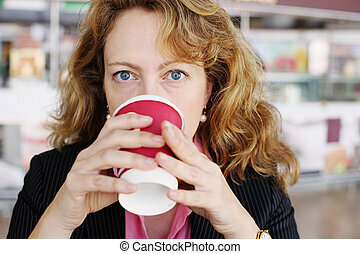 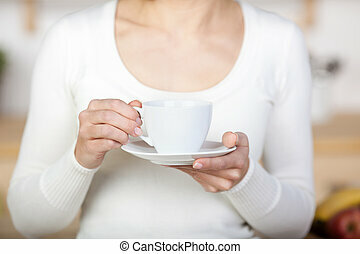 Woman holding mug of coffee to face. 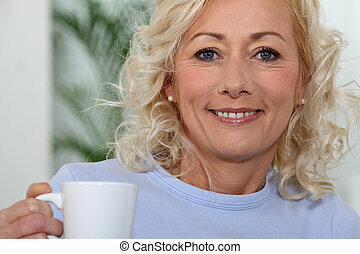 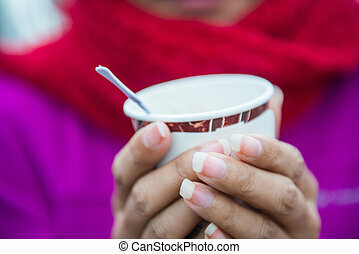 Close-up image of a woman holding a coffee mug. 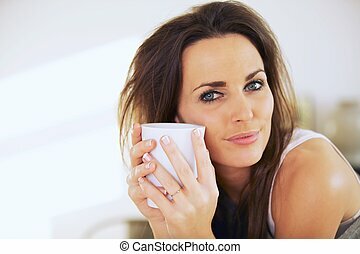 A woman blowing on her drink.